Firmly on tourists’ must-see list, there’s no doubting the enduring status of Paris as one of the world’s most popular and beautiful capitals. Well, at least that’s what you’d think. But never one to rest on its laurels, the Paris region realised that it was important to re-establish this position amongst a younger millennial audience. In her 2015 presidency campaign, Île-de-France’s President Valérie Pécresse vowed to reposition the Paris region as a hub for digital and technical innovation and deliver on a promise to transform it into a smart region. An important strand has also been the need to engage with the younger population through digital initiatives. This project also aligns with French President Emmanuel Macron’s plan to transform France into a “startup nation”, by making innovation a key element of his government’s agenda. The problem was where to start. With a growing number of social media channels to choose from, which would be the right path to take? To help formulate its strategy, the region partnered with digital innovation agency IRM. 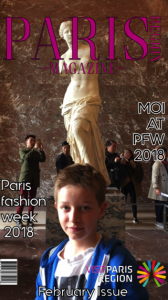 Together it was agreed that Paris Fashion Week would be the ideal test case and, perhaps surprisingly, the most appropriate channel to deliver the campaign would be Snapchat. UKOM-approved comScore data from January 2018 shows that Snapchat continues to increase its reach with an older age group, with a reach of 89% among 18-24 year olds, just a couple of points short of behemoth Facebook at 94%. However, when it comes to engagement metrics, Snapchat users aged 18-24 spend on average 909 minutes on the platform, significantly higher than Facebook at 640 minutes per month and they account for more than two thirds (74%) of Snapchat’s total minutes. More specifically, of the 11 million Snapchatters found in France, 70% are over 18, so this proved to be a sweet spot for Paris, as this global channel reaches both a young international and domestic audience. 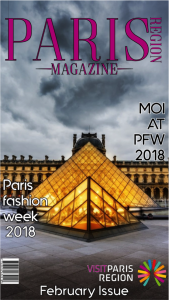 Based on these insights, IRM identified Snapchat for this campaign to help add an exciting, authentic and edgy element to Paris’ established mature image of elegance and history. 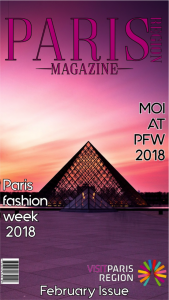 The campaign trialled six different styles of Snapchat filters across the Paris region for the duration of Paris Fashion Week, combining audience filters and geofilters in an attempt to reach the maximum number of tourists and Parisians. Each filter was designed for a different state of mind or demographic – from ‘Be on the cover of a magazine’ to ‘Postcards from the city of fashion’ to fashionista sunglasses. It was vital that each creative had a clear use case behind it. IRM also ran A/B split testing and adjusted the daily budget and time to day to maximise the impact. 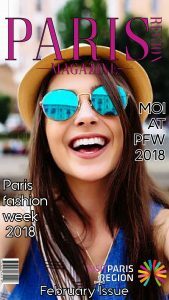 Snapchat users both nationally and internationally were encouraged to share the fun, style and creativity of Paris during one of its most famous events. That way, the city would benefit from the authenticity and ‘word-of-mouth’ value that social media brings. 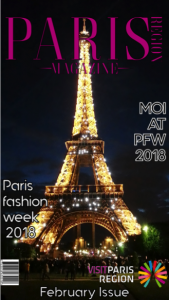 The big question was whether people would embrace the Snapchat campaign during one of the main events in the Paris calendar? The answer was a resounding: Yes! The audience filters were launched on Tuesday 27 February as Paris Fashion Week kicked off and ran everyday until Monday 5 March. IRM’s bespoke filters were viewed 5.7 million times after being shared by Snapchatters in their Chat and Stories, generating over 200,000 shares. Meanwhile, the geofilter was a great test across a smaller area (44,000 square feet) for the week. 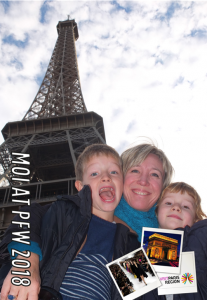 IRM selected the exact spot where people take their Eiffel Tower selfies with a geofilter you could only access in that precise location. Paris Tourism was also able to seed this information across its other social media channels, to drive further footfall to the physical location. “We were delighted with the campaign, which delivered a really strong conversion rate from impressions to shares and a high percentage of people saving the picture on their phones to share across other social media platforms,” adds Megan Goodwin, Joint Managing Director at IRM. The campaign showcased how with its ephemeral nature, Snapchat can significantly engage with an audience, proving to be perfect for promoting events. 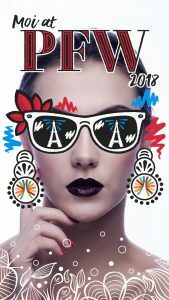 With the French capital’s first digital campaign to rejuvenate its brand positioning proving such a success, the team, supported by French company RécréAction, are already working on the next project to attract more Millennials to Paris and further consolidate its position as a 21 century smart, innovative city.